Cert-A-Roof is pleased to offer a full range of commercial roof services in Orange, California. Our commercial roof services include Roof Inspection, LeakFREE® Roof Certification, and Roof Repair for all commercial roofs. Every inspector and contractor is NRCIA certified and is thoroughly trained through Cert-A-Roof. We also offer commercial services in a 10 mile radius around Orange, including Anaheim, Atwood, Brea, Costa Mesa, East Irvine, Fountain Valley, Fullerton, Garden Grove, Irvine, Midway City, Placentia, Santa Ana, Stanton, Tustin, Villa Park, Westminster, and Yorba Linda. 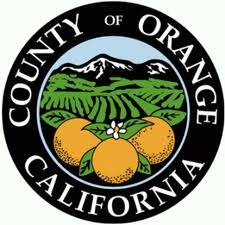 Orange has many festivals and attractions on the calendar for this year. Check out the links below! There are several problematic things to look for when inspecting a commercial roof in Orange. Interested in learning more? Click here!